Theatre credits include: Understudy Alice Beane, Ida Straus and Caroline Nevill in Titanic (Prince of Wales Theatre, Toronto), Understudy to Barbara Castle and Connie Riley in Made in Dagenham (Adelphi Theatre), Forbidden Broadway (Menier Chocolate Factory), Candide (Menier Chocolate Factory), Mrs Hatch in On A Clear Day You Can See Forever (Union Theatre), Understudy to Margaret Lord in High Society (UK Tour), Understudy Wicked Witch, Glinda and Auntie Em in The Wizard of Oz (The London Palladium), 25th Anniversary concert of The Phantom of the Opera (The Royal Albert Hall), The World Goes Round (Canal Cafe) Swing in The Phantom of the Opera (Her Majesty’s Theatre) Woman 1 in I Love You, You’re Perfect, Now Change (Kings Head Theatre) Johanna in Sweeney Todd (Tour) Maria in West Side Story (Tobacco Factory) Sally Bowles in Cabaret (Redgrave Theatre) Toadflax in Watership Down the Musical (QEH Theatre), understudy to Titania in Benjamin Britten’s Opera of A Midsummer Nights Dream (Tobacco Factory), principal singer and dancer on the Oriana for P&O Cruises, Mad About the Musicals (UK Tour), Dickens of a Christmas (Jermyn Street Theatre) Fairy Godmother in Cinderella (Civic Theatre, Rotherham/Campus West Theatre, Welwyn Garden City), Sharon in A Slice of Saturday Night, Nanny in Ways and Means, Florence in Odd Couple, Madame Montaudoin in 37 Sous of Monsieur Montaudoin. Rachel was delighted to have been part of Her Majesty’s Golden Jubilee Celebration as a vocalist at Buckingham Palace. Television and Radio credits include: An Enchanted Evening on the BBC (Theatre Royal Drury Lane), Soprano soloist Cabot the Musical for BBC Archive, Maria in West Side Story for BBC Bristol, a commercial for Linx Visual Media as principal dancer and guest vocalist on boy band Soul Intentions album. 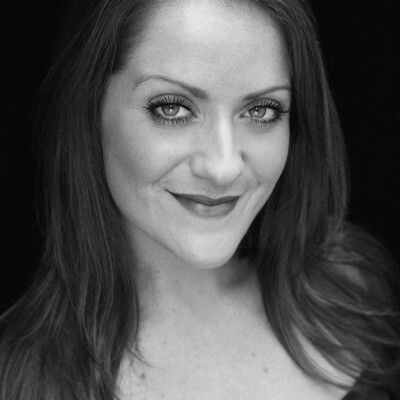 Other credits include: Rachel appeared on the Love Never Dies Album after working with Andrew Lloyd Webber in the workshop for the new production. This lead on to working in the Wizard of Oz workshop and on the cast album.